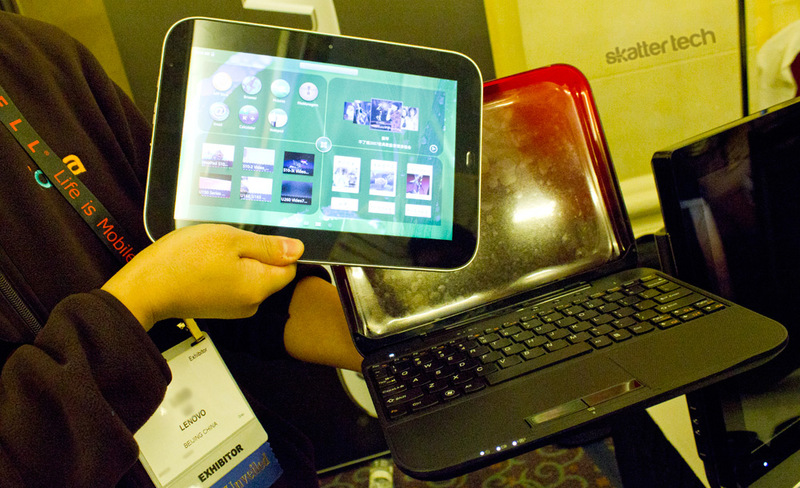 At CES 2010, Skatter Tech had a chance to get our hands on the Lenovo IdeaPad U1 Hybrid. For those unfamiliar, it was an unusual two-piece laptop-tablet mashup which ran both a custom Linux install and Windows 7. Unfortunately, it never saw the light of day. 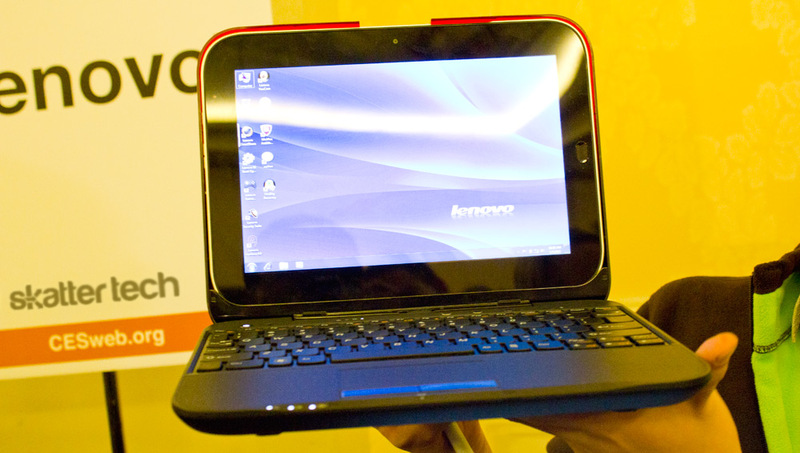 After nearly a year, Lenovo just announced a newer iteration this week at CES 2011. Unlike the earlier model, the IdeaPad U1 now features Android 2.2 on the tablet component. For those wondering, the LePad Slate sells independently of the IdeaPad U1 laptop, however the latter won’t be much of use on its own since lacks a display. The tablet runs on a Qualcomm Snapdragon processor, weighs under two pounds, is about a half-inch thick, and lasts nearly 8 hours on a single charge. It sports a 10.1 inch display and a front-facing camera for video chat. Although the tablet only runs on Android 2.2, Lenovo’s representatives assured us that they would fully support Android 3.0 when it becomes available. In fact, the tablet will not even be available to North America until Google releases the tablet-optimized Honeycomb operating system. To complement the LePad Slate, users can also buy the IdeaPad U1 laptop base for more bells and whistles. When docked into the base, the combination offers users access to a full keyboard, a larger battery pack, the Windows 7 operating system, and a faster Intel CULV processor. There’s an instant switch to toggle between the operating systems on the fly. 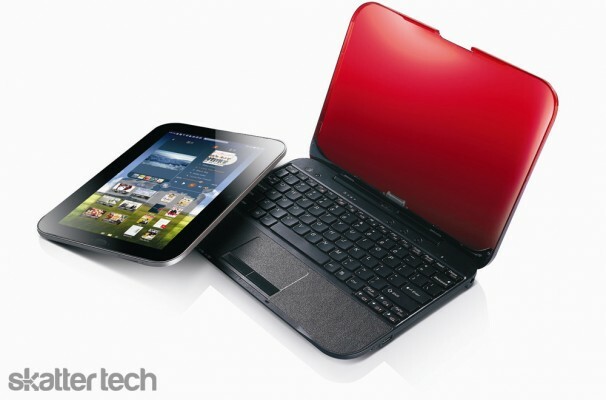 Lenovo’s technology will even let users access the file system of the tablet through Windows 7 to manage data. The integrated software also automatically syncs browsing sessions between the browsers of both devices to let users pick up where they left off. The Lenovo LePad and complementary IdeaPad U1 will hit stores in the first quarter of 2011 in China. There’s no mention of availability for the United States. The LePad Slate will retail for about $520 (RMB 3,499), while the IdePad U1 + LePad Slate package will start at about $1,300 (RMB 8,888). It’s rather pricey compared to alternative tablets or even laptops for that matter. However, it’s likely that Lenovo will bring it to a reasonable price when introduced in the United States. Great post! But do you know of any china retailers thats saling this product? If so, can you list them. Thanks!